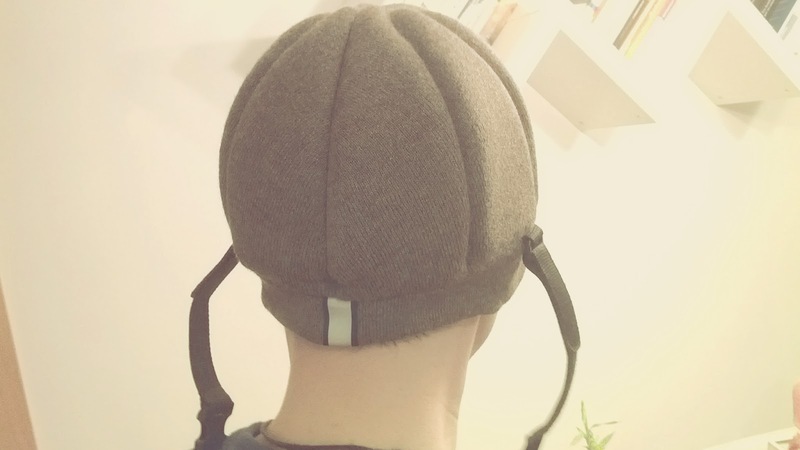 The Fixed Gear World: Ribcap: Not a helmet, not a cap, a helmet cap! 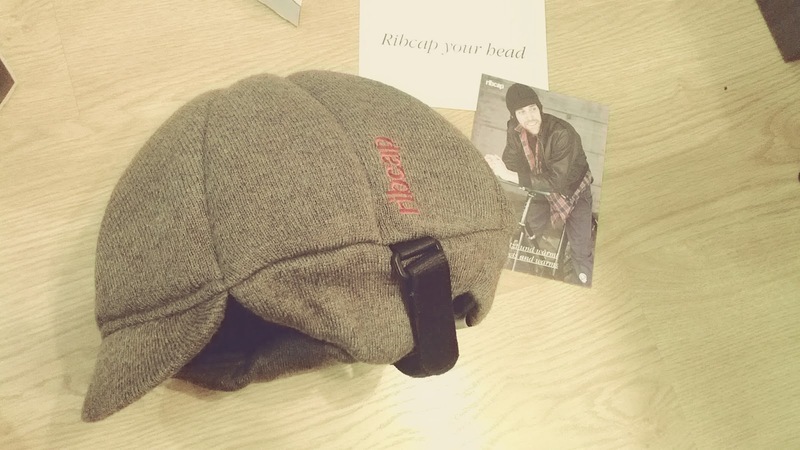 Ribcap: Not a helmet, not a cap, a helmet cap! Surely you live in a place where winter is raw and cold ... go out with your fixie is being cold in your body, and your head is an extremely important part! But you need a hat that gives you warmth, but at the same time provide you security in case of accident (ride safe please ...). If you come with me we'll show you what it is and what is this innovative product, not a cap, not a helmet is just a helmet cap! Well, we started! The model that we will review is called Jackson, and we have received in two sizes: M and L, and in two different colors: brown and red. The first impression we have done is: wow! is like a winter hat and it's quite hard to protect us from any accidental hit. As stated on the box and on the label of the cap itself is made merinowolle 50% and 50% acrylic. 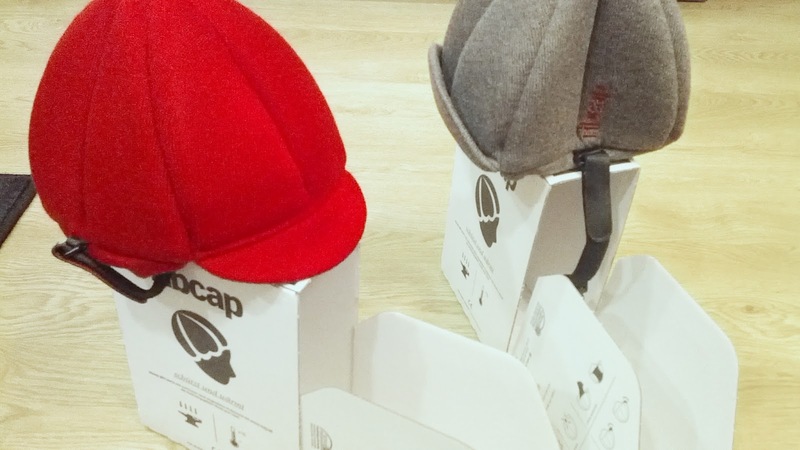 The Ribcap cap is foldable and takes up little space in your backpack or pocket when not in use. It also incorporates the chin straps can be adjusted on both sides and prevent slipping off the cap on impact.The chin straps can be removed, but we recommend wearing chin straps fastened with Ribcap. In the rear of the cap incorporates a reflective band. The band reflecting provides added safety at dusk and at night. Also incorporated in the front option with or without peak depending on need. 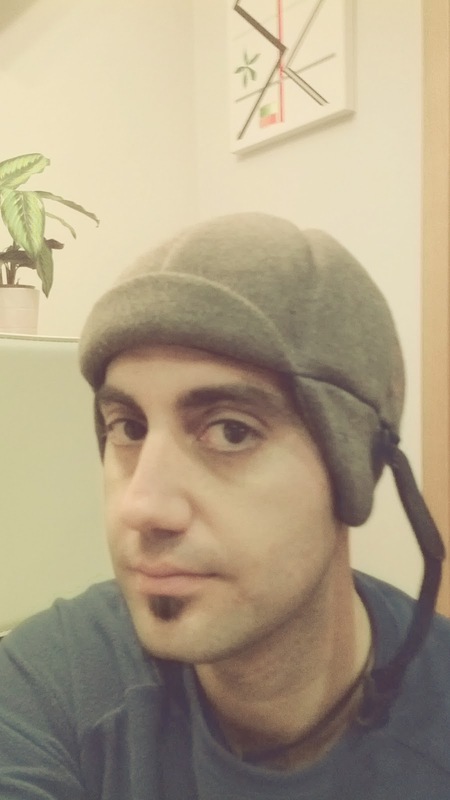 I have personally tested the two models (sizes M and L) and I consider it's more comfortable for my size M.
In winter days is a cap that provides warmth, comfortable to use, much more advisable in winter than a classic cycling helmet, but we have to think that does not offer the same level of safety in case of impact. It is a cap designed for urban cycling, where the risks are not as high impact (at least usually!) And in return provides warmth in your head, and a touch more cool to your style! Cool design thought for urban cycling. There are several models and colors to choose from. Provides warmth in winter, not recommended for hot areas. It is a good alternative when you are looking to combine: style, safety and warmth. In 2002, Jürg Ramseier takes part in an advanced training course for ski instructors in Haut-Nendaz. A participant appears wearing a helmet for the first time and so triggers off a heated debate amongst the ski instructors. JR was one of the sneerers in the group. He had experienced helmets as a young ski racer. The speed feeling changed as soon as it was shoved on the head. JR missed the breeze and the sun on his face the all-round view was restricted and the hearing impeded. And to this day, the idea of skiers belting down the slopes wearing crash helmets, in Schumacher-style, scares him more than anything. In 2003, JR started with the development of Ribcap. He had a warm, protective, wollen cap in mind. Protective head gear without restriction of the senses. An attractive article made out of high quality wool, foldable, light and pleasant to wear. Suitable on the slopes, on the road, on ice and in the air. JR developed, together with a small team, a type of head gear based on a totally new idea: soft protection. In 2005 Ribcap was born. The first collection was presented at the ISPO Munich, the most important sportswear exhibition in Europe. Ribcap was immediately nominated for awards, won a renowned design prize and received an invitation for an important exhibition. However there were setbacks: JR couldn’t for example afford patent protection and a large Swiss sportswear manufacturer attempted to copy the product. And Ribcap was unfairly attacked in Kassensturz (consumer program)on Swiss television (SF1) Now JR really needed a protective cap, in order to take the blows. Criticism and feedbacks spur on the continuing development. As a result JR and his team can today present the new Ribcap 2.0 . A Ribcap with a new design, new safety features and a certificate from Strasbourg University Link to Ribcap Certificate Strasbourg →. Ribcap 2.0: More and more for city use but still for the mountains. Ribcap - A day in a city. from Ribcap Head Protection on Vimeo.